Strong channel partners often wield what’s called channel power and are referred to as channel leaders, or channel captains. In the past, big manufacturers like Procter & Gamble and Dell were often channel captains. But that is changing. More often today, big retailers like Walmart and Target are commanding more channel power. They have millions of customers and are bombarded with products wholesalers and manufacturers want them to sell. As a result, these retailers increasingly are able to call the shots. In other words, they get what they want. A dispute among channel members is called a channel conflict. Channel conflicts are common. Part of the reason for this is that each channel member has its own goals, which are unlike those of any other channel member. The relationship among them is not unlike the relationship between you and your boss (assuming you have a job). Both of you want to serve your organization’s customers well. However, your goals are different. Your boss might want you to work on the weekend, but you might not want to because you need to study for a Monday test. Channel conflicts can also occur when manufacturers sell their products online. When they do, wholesalers and retailers often feel like they are competing for the same customers when they shouldn’t have to. 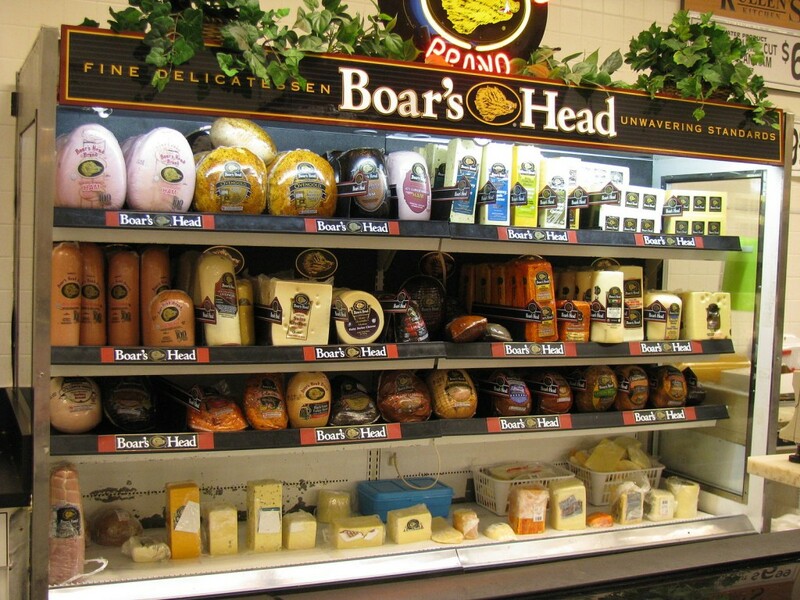 Likewise, manufacturers often feel slighted when retailers dedicate more shelf space to their own store brands. Store brands are products retailers produce themselves or pay manufacturers to produce for them. Dr. Thunder is Walmart’s store-brand equivalent of Dr. Pepper, for example. Because a retailer doesn’t have to promote its store brands to get them on its own shelves like a “regular” manufacturer would, store brands are often priced more cheaply. And some retailers sell their store brands to other retailers, creating competition for manufacturers. The conflicts we’ve described so far are examples of vertical conflict. A vertical conflict is conflict that occurs between two different types of members in a channel—say, a manufacturer, an agent, a wholesaler, or a retailer. By contrast, a horizontal conflict is conflict that occurs between organizations of the same type—say, two manufacturers that each want a powerful wholesaler to carry only its products. Horizontal conflict can be healthy because it’s competition driven. But it can create problems, too. In 2005, Walmart experienced a horizontal conflict among its landline telephone suppliers. The suppliers were in the middle of a price war and cutting the prices to all the retail stores they sold to. Walmart wasn’t selling any additional phones due to the price cuts. It was just selling them for less and making less of a profit on them (Hitt, et. al., 2009). Flash back to Walmart and how it managed to solve the conflict among its telephone suppliers: Because the different brands of landline telephones were so similar, Walmart decided it could consolidate and use fewer suppliers. It then divided its phone products into market segments—inexpensive phones with basic functions, midpriced phones with more features, and high-priced phones with many features. The suppliers chosen were asked to provide products for one of the three segments. This gave Walmart’s customers the variety they sought. And because the suppliers selected were able to sell more phones and compete for different types of customers, they stopped undercutting each other’s prices (Hitt, et. al., 2009). One type of horizontal conflict that is much more difficult to manage is dumping, or the practice of selling a large quantity of goods at a price too low to be economically justifiable in another country. Typically, dumping can be made possible by government subsidies that allow the company to compete on the basis of price against other international competitors who have to operate without government support, but dumping can also occur due to other factors. One goal of dumping is to drive competitors out of a market, then raise the price. Chinese garlic producers were accused of this practice in the early 2000s, and when garlic prices soared due to problems in China, other countries’ producers were unable to ramp back up to cover the demand. U.S. catfish farmers have recently accused China of the same strategy in that market. While there are global economic agreements that prohibit dumping and specify penalties when it occurs, the process can take so long to right the situation that producers have already left the business. Sometimes the shoe is on the other foot—retailers have to convince the makers of products to do business with them instead of the other way around. Beauty.com, an online retailer, is an example. Selling perfumes and cosmetics online can be difficult because people want to be able to smell and feel the products like they can at a department store. But Beauty.com has been able to convince the makers of more than two hundred upscale cosmetic brands that selling their products on its Web site is a great deal and can increase their revenues. To reassure sellers that shoppers can get personalized service, Beauty.com offers the site’s visitors free samples of products and the ability to chat live online with skin and hair care consultants (Evans, 2007). Wikimedia Commons – Boars Head distplay – CC BY-SA 3.0. Educating your channel members’ sales representatives is an extremely important part of facilitating cooperation, especially when you’re launching a new product. The reps need to be provided with training and marketing materials in advance of the launch so their activities are coordinated with yours. Microsoft is a company that does a good job of training its partners. Before launching operating systems such as Windows XP and Vista, Microsoft provides thousands of its partners with sales and technical training1. In addition, companies run sales contests to encourage their channel partners’ sales forces to sell what they have to offer. Offering your channel partners certain monetary incentives, such as discounts for selling your product, can help, too. Lastly, you don’t want to risk breaking the law or engage in unfair business practices when dealing with your channel partners1. We have already discussed confidentiality issues. Another issue channel partners sometimes encounter relates to resale price maintenance agreements. A resale price maintenance agreement is an agreement whereby a producer of a product restricts the price a retailer can charge for it. Another way to foster cooperation in a channel is to establish a vertical marketing system. In a vertical marketing system, channel members formally agree to closely cooperate with one another. (You have probably heard the saying, “If you can’t beat ’em, join ’em.”) A vertical marketing system can also be created by one channel member taking over the functions of another member; this is a form of disintermediation known as vertical integration. Procter & Gamble (P&G) has traditionally been a manufacturer of household products, not a retailer of them. But the company’s long-term strategy is to compete in every personal-care channel, including salons, where the men’s business is underdeveloped. In 2009, P&G purchased The Art of Shaving, a seller of pricey men’s shaving products located in upscale shopping malls. P&G also runs retail boutiques around the globe that sell its prestigious SK-II skin-care line (Neff, 2009). Vertical integration can be forward, or downstream, as in the case of P&G just described. Backward integration occurs when a company moves upstream in the supply chain—that is, toward the beginning. An example occurred when Walmart bought McLane, a grocery warehousing and distribution company. As much as physical facilities, Walmart also wanted McLane’s operating knowledge in order to improve its own logistics. Franchises are another type of vertical marketing system. They are used not only to lessen channel conflicts but also to penetrate markets. Recall that a franchise gives a person or group the right to market a company’s goods or services within a certain territory or location (Daszkowski, 2009). McDonald’s sells meat, bread, ice cream, and other products to its franchises, along with the right to own and operate the stores. And each of the owners of the stores signs a contract with McDonald’s agreeing to do business in a certain way. By contrast, in a conventional marketing system the channel members have no affiliation with one another. All the members operate independently. If the sale or the purchase of a product seems like a good deal at the time, an organization pursues it. But there is no expectation among the channel members that they have to work with one another in the future. A horizontal marketing system is one in which two companies at the same channel level—say, two manufacturers, two wholesalers, or two retailers—agree to cooperate with another to sell their products or to make the most of their marketing opportunities, and is sometimes called horizontal integration. The Internet phone service Skype and the mobile-phone maker Nokia created a horizontal marketing system by teaming up to put Skype’s service on Nokia’s phones. Skype hopes it will reach a new market (mobile phone users) this way. And Nokia hopes to sell its phones to people who like to use Skype on their personal computers (PCs)2. Similarly, Via Technologies, a computer-chip maker that competes with Intel, has teamed up with a number of Chinese companies with no PC-manufacturing experience to produce $200 netbooks. Via Technologies predicts that the new, cheaper netbooks the Chinese companies sell will quickly capture 20 percent of the market (Hill, 2009). Of course, the more of them that are sold, the more computer chips Via Technologies sells. 1“Ten Mistakes to Avoid with Channel Partners,” irieAuctions.com, http://www.irieauctions.com/Alternate_Distribution_Channel.htm (accessed December 12, 2009). 2“Skype Expands Mobile Push,” Financial Times, March 31, 2009, 20. Daszkowski, D., “What Is a Franchise,” About.com, http://franchises.about.com/od/franchisebasics/a/what-franchises.htm (accessed December 12, 2009). Evans, M. W., “Beauty.com Undergoes a Revamp,” Women’s Wear Daily 194, no. 66 (September 26, 2007): 17. Hill, K., “Via to Help New PC Makers Enter the Netbook Market,” Financial Times, May 18, 2009, 16. Hitt, M., Stewart Black, and Lyman Porter, Management, 2nd ed. (Upper Saddle River, NJ: Prentice Hall, 2009), chap. 5. Neff, J., “P&G Acquires the Upscale Art of Shaving Retail Chain,” Advertising Age 80, no. 2118 (June 8, 2009): 2. 8.5 Channel Dynamics by [Author removed at request of original publisher] is licensed under a Creative Commons Attribution-NonCommercial-ShareAlike 4.0 International License, except where otherwise noted.